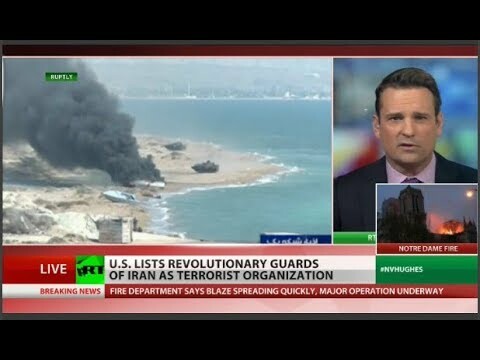 On Monday, April 15, Iran’s Islamic Revolutionary Guard Corps (IRGC) became the first foreign government entity for the US to officially designate as a terrorist organization. Critics worry that the Trump administration is laying the groundwork for military action against Tehran. RT America’s John Huddy reports for News.Views.Hughes.